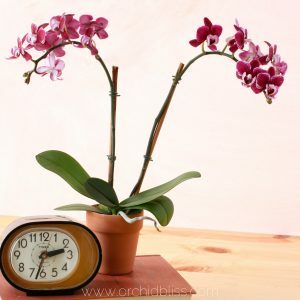 Need help determining when to water your orchid? The secret is in the pot. 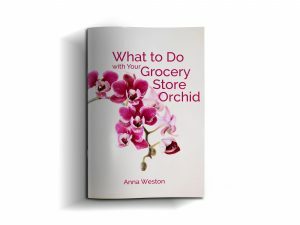 Need help solving orchid watering problems? You’ve come to the right place. 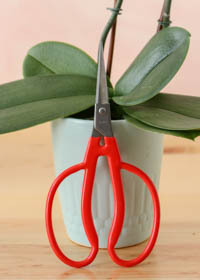 Learn how to take the guesswork out of watering orchids with clear, plastic pots. When you think of potting orchids, think in layers. My preference is to plant first in a clear plastic pot that is set inside an outer pot. I want the outer pot to be narrower at the base than the plastic pot so that excess water will drain out of the clear inner pot into the outer pot. This will keep the orchid’s roots from sitting in water. The clear plastic serves as the window to the orchid’s roots and potting medium and the outer pot discourages algae from growing. You may be wondering, why are orchids grown in clear pots? This is especially baffling when you can use a beautiful piece of pottery. The answer is all about visibility. In a clear pot, the grower can easily see if the planting medium is drying out, or if it is still wet. With a clear pot, water condensation on the sides of the pot is easily visible. Another reason orchid growers like clear pots is that the health of the roots can also be easily ascertained. Brown and mushy are dead, overwatered roots. Wet roots are bright green. Silvery roots are healthy, but not wet. Green or red root tips are healthy. TIP: In addition to being clear, orchid pots should also have holes or slots. This allows for water drainage and air circulation. Setting the plastic pot in a secondary pot will add stability to the orchid as plastic is lightweight and orchids tend to be top-heavy. 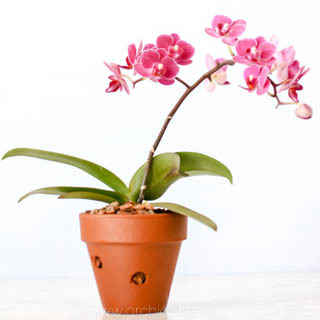 Additionally, you can choose an attractive outer pot, enhancing the overall appearance of your orchid. The grower will then need to lift the plant out of the outer pot to see what is going on with the roots an potting mix. Together, the plastic inner pot and the ceramic out pot create form and function. Use a clear plastic pot as a liner, which is then set inside an outer pot. This way, you can easily check to see if the roots are healthy and if the plant needs water. In case you’re wondering which clear pots I use and recommend, here’s a link for the clear, plastic pots I use. These are the best orchid pots because the plastic is heavy-duty and has lots of slots that provide air circulation to the orchid’s roots and water drainage. Just a heads up, I do receive a commission if you purchase through this link. I have several orchids that have come in an opaque plastic pot. When the plants come like this, I wait until they have finished blooming and then I re-pot them. 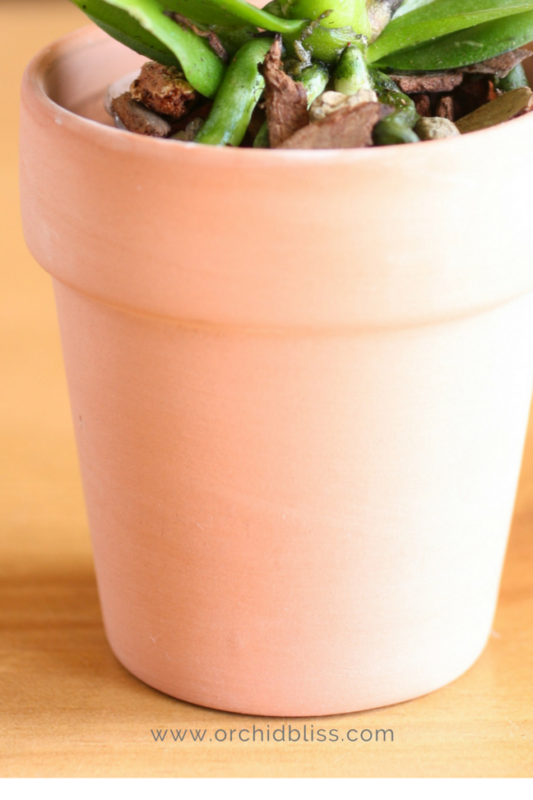 As stated above, my preference is to re-pot in a clear plastic pot and then to set the plant in a secondary clay pot. Use extra care when switching a Dendrobium from an opaque to clear pot. These orchids do not like their roots disturbed. 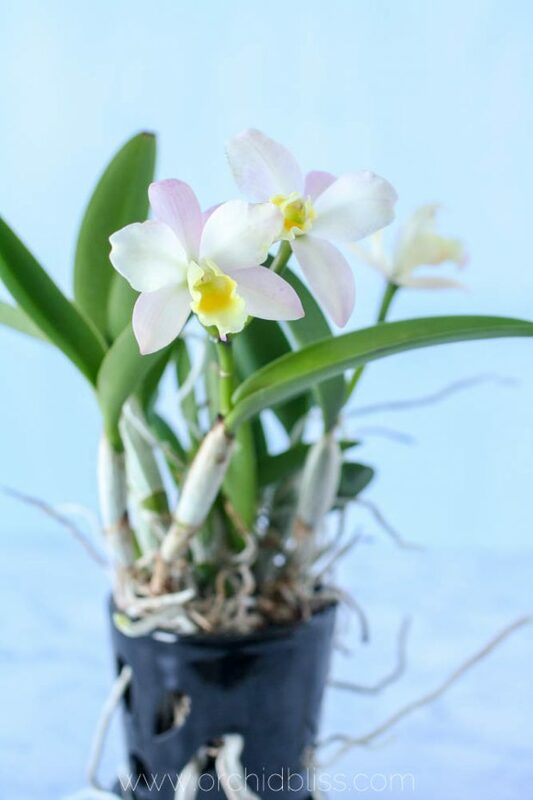 Before making the switch, be sure the Dendrobium is growing new roots, then quickly, lift the orchid out of the opaque pot and set it into the new clear, plastic pot. Keep the roots and potting media as intact as possible. Terracotta is another popular choice. It is inexpensive and looks nice. I actually like the look of the water mineral stains that build up on the sides. 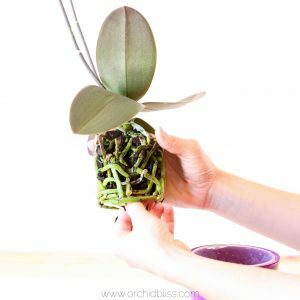 The downside is that orchid roots cling to the sides, making re-potting more of a challenge–and you can’t just lift the orchid out of the pot to see the roots. There are so many beautiful pots that it is hard to resist using these to house our orchids. 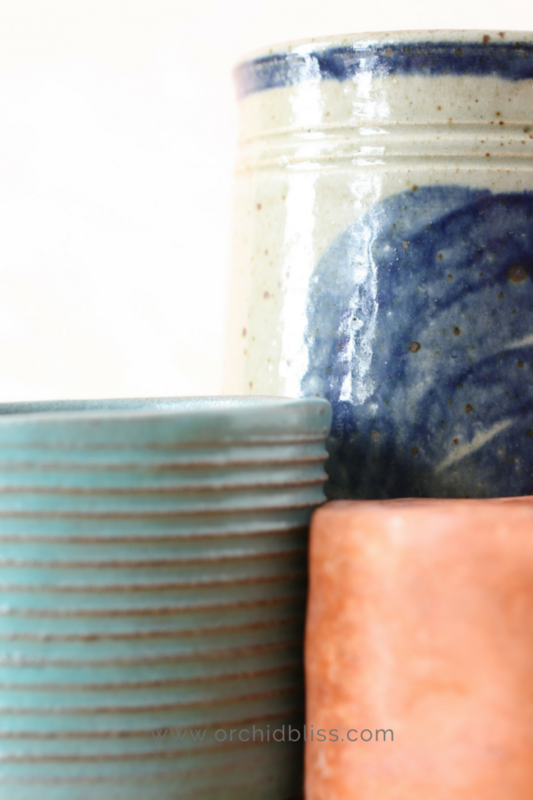 There is something very special about a piece of hand thrown pottery. It’s art. 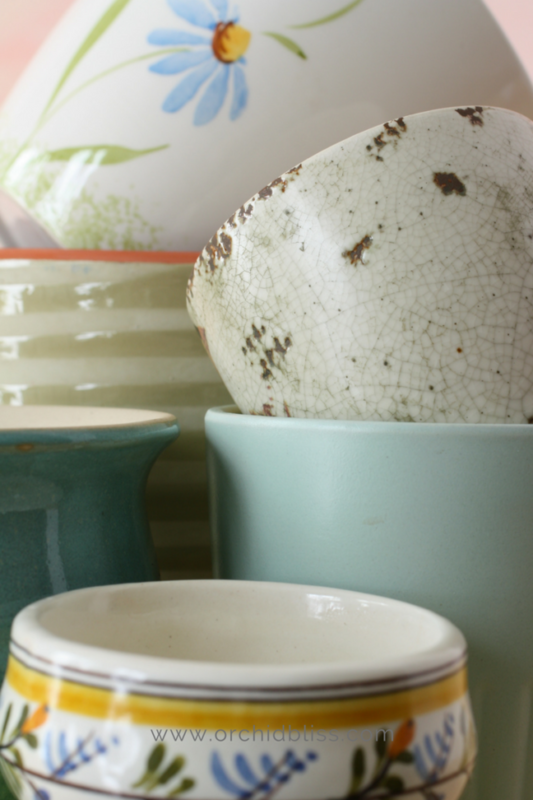 Unlike a terracotta or a plastic pot, pottery can be pricey. 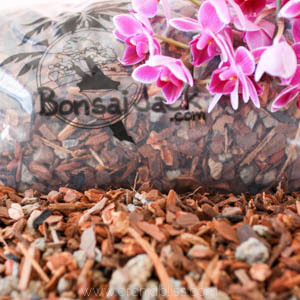 Decorative orchid pots can be used as a secondary pot with the clear plastic housing the orchid, making it easy to inspect the roots and the moisture content. I like the base of the pottery to be narrower than the plastic pot so that the plastic pot sits above the base of the pottery. This ensures that excess water will drain out the plastic pot and catch in the secondary pot while keeping the orchid’s roots out of the water. There are also specially made orchid pots with holes in the side which allow for air circulation around the roots. It is also easy to see how the roots are doing and to check for moisture. When purchasing one of these pots make sure that the holes aren’t too big. You don’t want the potting media to come out when watering. When you do water, be sure to set the pot in a deep saucer or over a drain to catch water that runs out. When watering, water deeply. The drainage holes keep the orchid from sitting in water. When many of us think of orchid pots we think of pots with a lacework of holes. These pots allow for plenty of air circulation and water drainage. When using these pots, do not use a clear liner pot. If the orchid soil obstructs your view of the orchid’s roots, use the dampness, or dryness, of the orchid’s potting medium as your watering guide. These pots come in a wide variety of colors. You can purchase hand potted or mass produced pots, but they are usually all made from ceramic. Handmade pottery is gorgeous but comes with a price tag. When watering with one of these pots, you may want to set the orchid in another, larger pot while the potting medium absorbs water. Be sure the larger pot is scrupulously clean to avoid inadvertently spreading disease. Check out the roots on this Cattleya. If you grow an orchid in a pot with holes. This is what will happen. If crazy roots aren’t for you, you may want to consider a different type of pot. 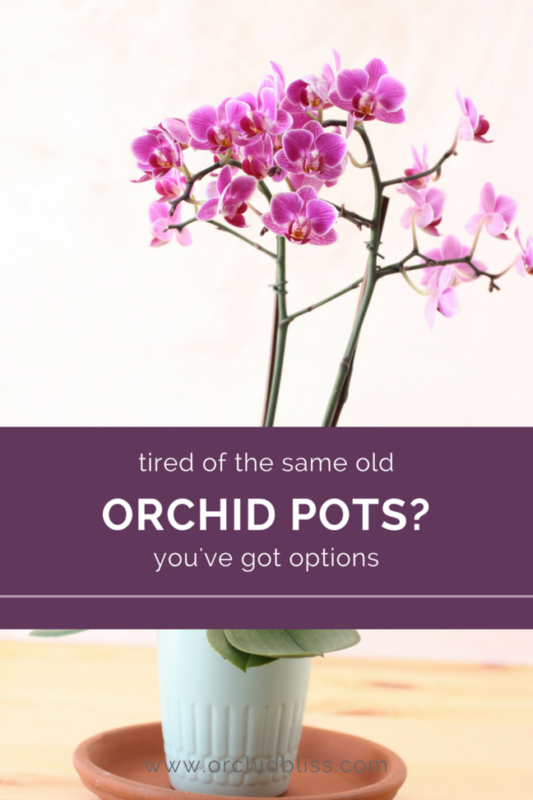 If you’ve embraced wild orchid roots, then this type of pot will suit you. TIP: Note that the Cattleya is growing in a dark-colored pot. 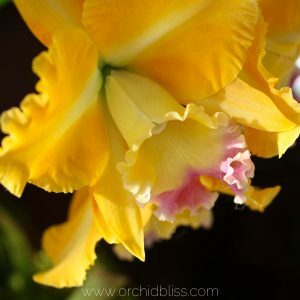 If you’re growing an orchid with high light requirements, like the Cattleya, you may want to do what I do, and grow under lights. I don’t grow all my orchids under lights, but I’ve found that my Cattleyas do best under lights where they can get lots of light, but not a lot of heat. I have some Paphiopedilums under in dark-colored pots, but they do fine as they are considered a low-light orchid. These handmade pots are as beautiful as they are functional. 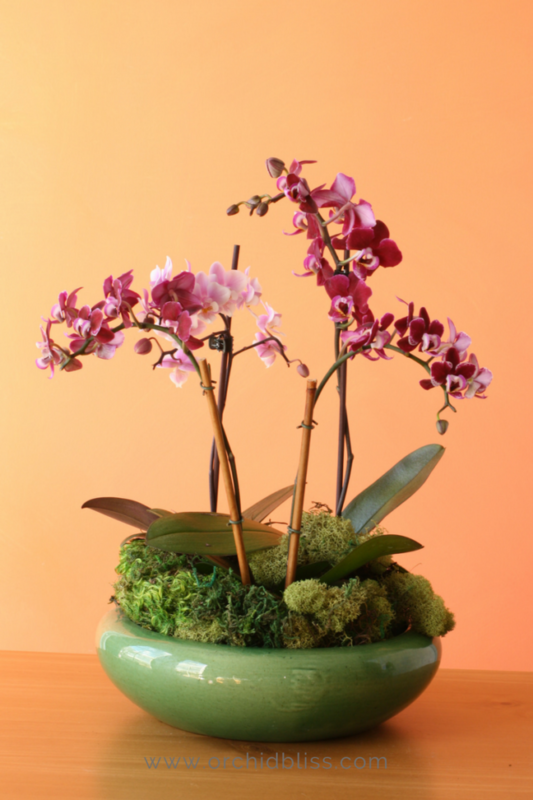 Each pot is a work of art, enhancing your orchid whether in bloom or out. 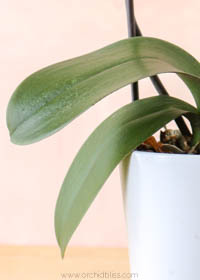 With lots of drainage holes, you won’t have to worry about rotting the orchid’s roots. 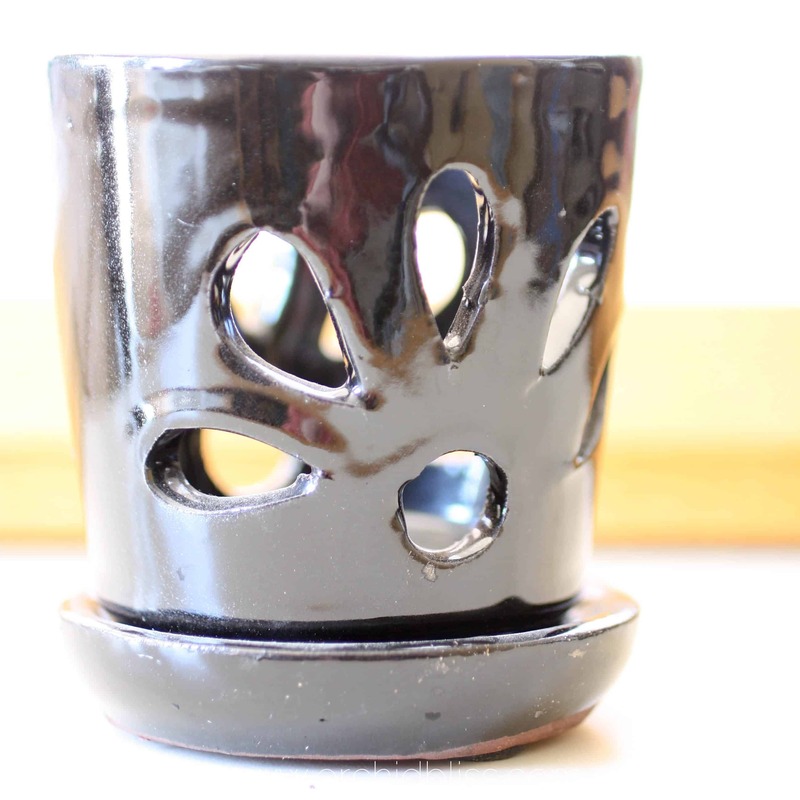 These pots are crafted in Ukraine, so allow about 3 weeks for delivery to the US. These pots, also hand-thrown pottery, come with a removable saucer, which I consider essential. I don’t like attached saucers because they don’t drain a well as removable saucers. The potter, Jolene, grows orchids and tests her pots on her own plants. 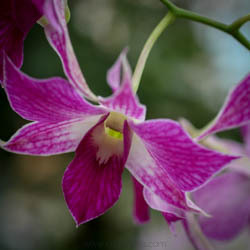 In its natural habitat, most orchids grow on trees and on rocks, and a few in the soil. 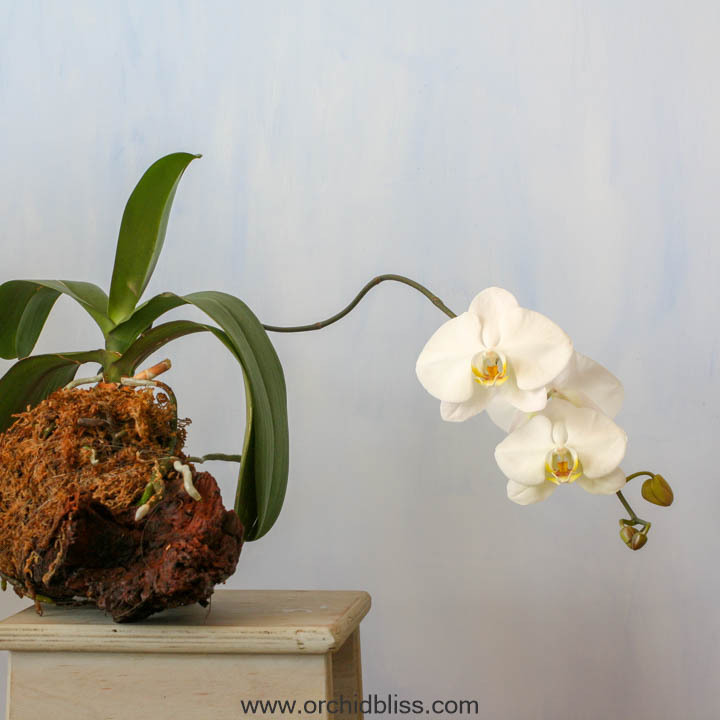 An orchid growing on driftwood can really make a statement. 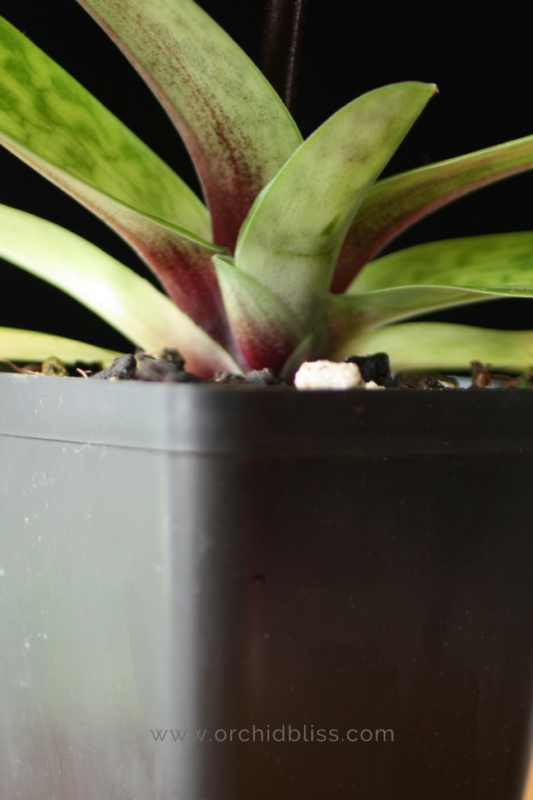 These plants can require high humidity levels and needs to be watered from above. 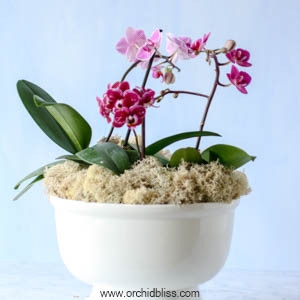 Or, you can soak a mounted orchid in a large bowl or basin of water. To protect surfaces, I recommend using saucers. This will prevent water rings on furniture and window sills. Adding creative saucers are like fun accessories. The saucer pictured below was marketed as a catch-all for jewelry. 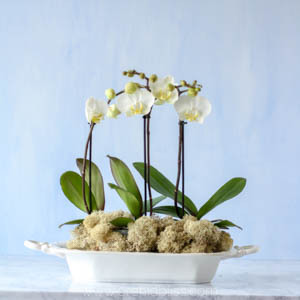 If you would like to create an arrangement for your orchids, a wide, shallow tray or basket will do the trick. When making an orchid display, I leave the orchids in the pots they came in (both the plastic and the pottery) and set them in the tray. To fill in gaps I place prepackaged moss between pots. 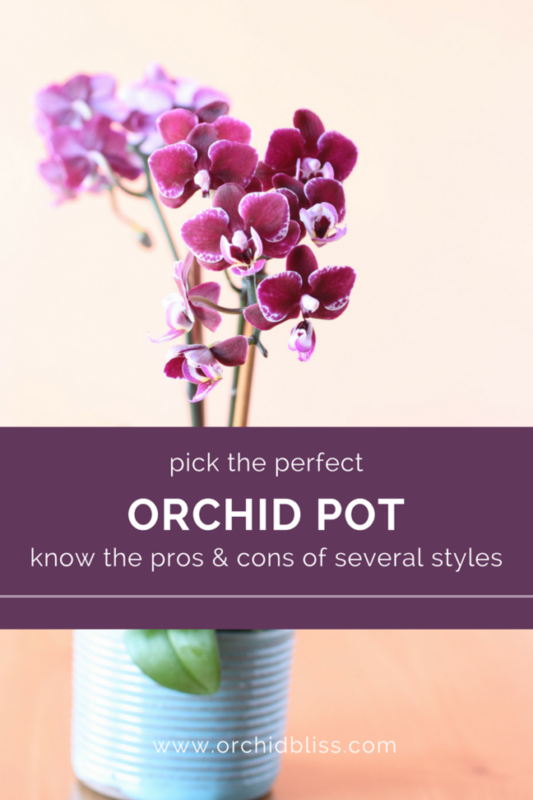 Choosing the best the pot for you orchid will do more than maximize the orchid’s visual appeal. If possible, use an inner clear plastic pot with plenty of drainage that will aid you in the care and maintenance of your orchid. Then, finding just the right outer pot will showcase your orchid as the living sculpture that it is. 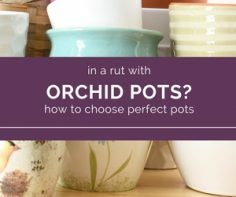 A well chosen pot can make the difference between an orchid and AN ORCHID. Thanks Kay! I appreciate your feedback. It’s so great to hear from you! A Friend gave me a beautiful orchid and a GREAT pot that he was told was for orchids. I have never seen this type of pot and, upon research, came up empty handed. It’s clay. It’s a clay bowl with holes within a larger clay bottom. One large hole in the bottom part. The 2 parts are fired together abmnd do not separate. I would guess that the inner bowl is about 3″ deep and 4 ” across. Botto. Is rounded and about 6″ across. The ‘well ‘ between the 2 separates the 2 parts by about 1″ on all sides. Is this possibly a pot for a different plant?? My curiosity is piqued. Will you send me a picture of the orchid pot at [email protected]? Hi Anna! Thanks to you I found out about the orchid show at Red Butte and attended the Orchid 101 class on Saturday. I asked about the cool pots I see with the holes on the side and the two instructors said that the roots will eventually become attached to the terra cotta and also I would be constantly watering. Bummer! I am loving your website so much because when you talk about clear pots with slits on the side, there’s a link to buying clear pots with slits on the side–thank you!! When you mention Denbrobiums there’s a link to a care sheet. This is so helpful for a newbie like me! I’m so glad you made it to the SLC orchid show. Maybe we saw each other and didn’t know it! Orchid roots will definitely stick to clay pot. That is one thing you can count on. It was great to hear from you! Hi Anna! Thanks for your post. 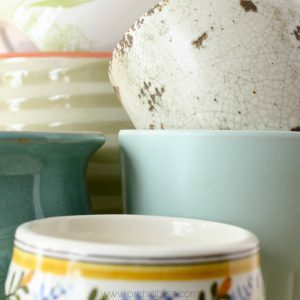 Do you have any specific pots that you would recommend with links to where to buy them? I’m having trouble finding pots that have both form and function, specifically in the larger variety. Let me know if you need something larger. I use (clear or green) soft drink bottles for my orchids and they are as happy as clams. Cut drain holes in bottom and slits in sides, and take the curved top off. I have 4 containers of various sizes in one square wooden yellow box with liner. Once in a while I give them a good drink and let them drain, but a spray bottle stream is enough to keep moisture in the air and in the mulch and around the roots. Fertilizer, of course, every so often. Thanks for sharing Phyllis! I would love a picture of your orchids! If you get a chance, email me at [email protected]. Don’t repot until the orchid has finished blooming. 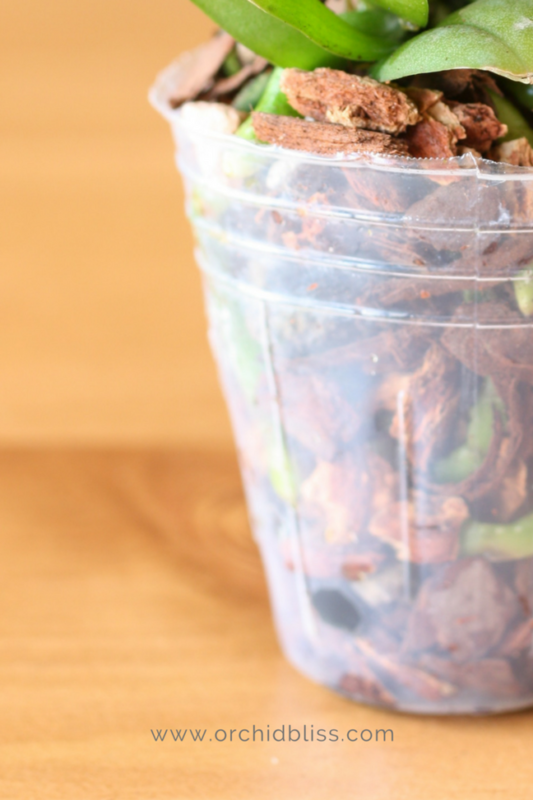 And, you may want to add a little sphagnum moss to the bark mix to add some extra water retention to the mix. You’ve got this! I’ve repotted LOTS of orchids, and though it will set it back a little initially, in the long run you’ll have a healthier orchid. I have heard to water my orchids by ice cubes weekly; then I received 3 for my b-day, came with instructions to use a shot glass of warm water? I checked today to be sure they have drainage, 1 did not, but they are still blooming. Ice, or warm water? I definitely recommend tepid water. Be really careful not to overwater the orchid without drainage. 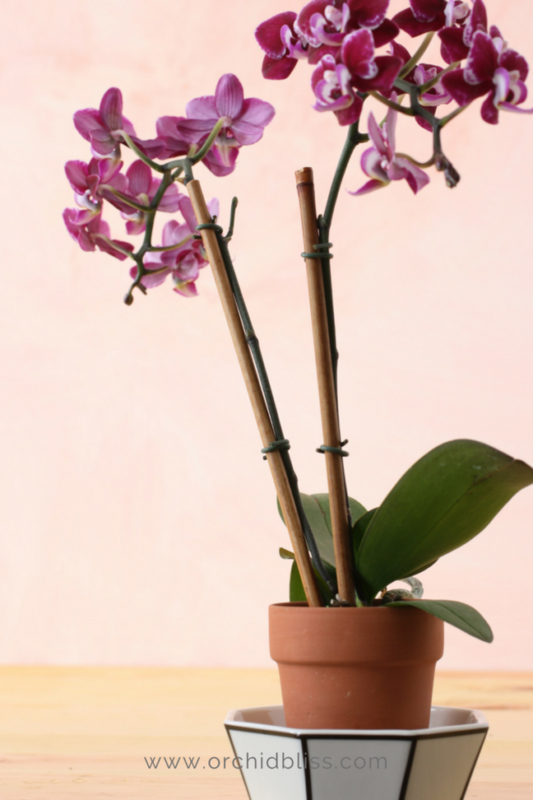 After the flowers are spent, repot your orchid into a pot with good drainage. Phalaenopsis orchids like their potting media to be barely moist. The roots should be silvery when dry, and bright green when wet. If you can see the roots, wait until they return to the silvery color before watering again. Don’t determine when to water by the aerial roots – look at the roots in the potting medium – if they are growing in a clear liner pot.